Home > Search engine optimization > How Long Should a Blog Post Be? 1.2 So What is Good Content? 1.4 How Do You Write Quality Content? When starting a blog many ask how long should a blog post be? And there is usually a good reason for this. They usually saw a post on a Google ranking study. And they tell you a blog post needs to be this many words long. Usually, most of these studies will tell you a post needs to be something around 2500 words long. The problem I have found with most of these studies is they do not talk anything in-depth about content. They do not cover the content in detail. They do not cover, is the content well written or does the content answer the searcher’s query. This is truly what really needs to be looked at for how long a blog post should be. You can take all the studies you want about article length. But, if the content is not written well, it doesn’t matter. And most important of all does it help the person who searched for the query. The Google Panda algorithm is the reason most SEO’s started to take a look into blog post length and performing studies. Back around 2011 when Matt Cutts was head of the Google Web-spam team. They decided there was too much thin and crappy content in their search engine. So, they wrote an algorithm to combat this and other forms of spam. Now, there has been a ton of speculation about what Panda was really all about. But many concluded it was about thin content. Meaning, it took a look at if your blog post or article was short and filled with fluff. And, for the most part, much of this was probably true. Back at this time, there was a lot of posts out there that were very thin content. But, Panda does look at many other things as well. It mostly specifically looks at over optimization on pages. Things like over optimized keyword densities etc. I suggest you look more into Google Panda to see more of what Google wants to see in your content. And what they really want to see in your content is it’s written with the user in mind and not a search engine. What most bloggers used to do was set out to write an article and they would have their keyword in mind. Then they would write the article so it sounded very computerized. Their articles didn’t look natural at all and they didn’t flow naturally when you read them. Good quality content is about staying on topic and answering a users query. The problem with the longest form blog posts today is they start to go way off topic and talk about related things and sometimes go way off topic and talk about a whole other thing. Take a look at this video from The Income School boys. Here they talk most about content optimization so you can get a feel for what content should really be about. So the bottom line is, when you write your articles for your site, you need to write for a person coming to your site and not write like a robot. Take into consideration what a search engine wants to see when it comes to optimization but always remember it’s a real person who ultimately decides if your article was good or not. How Do You Write Quality Content? When you sit down to write a blog post, you should first do an outline of all the topics you want to cover. After you finish your outline, take a look over every topic you came up with and see if they are all just related or do they really have something to do with the original topic. Your content should also be backed up by facts and not just your opinions. This means if you make a point and you know of a study having to do with what you are talking about. Then either link to or show the study. It never hurts to show citations when making your points. Don’t just write and include fluff. Include actual things anyone would find useful about the topic at hand. Ask yourself, when someone reads my article, will they learn something new? And, will it help them or even make their life better? 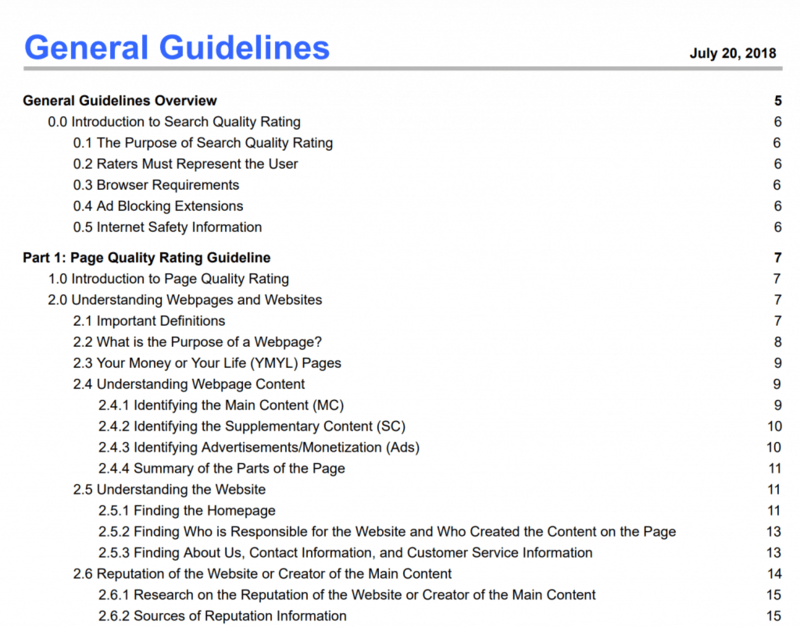 You see, Google classifies websites and content and much of this can be seen in the Google Quality Raters guidelines. In the Google QRG book, they go into depth about what content should be all about. I suggest you really take a hard look into the QRG and follow all of the topics because it truly is real SEO gold. Most studies on how long should a blog post be cover correlation studies about the length of words involved. But, what you really need to look at is your content. Ask yourself questions like, is the content well written, does it answer the user’s query and was the content helpful? The better you learn how to write. The better results, in the end, you are going to have with your blog.